YAVNE, ISRAEL, MAY 14, 2018 | ORBOTECH LTD. (NASDAQ: ORBK) (the “Company”) today announced that on May 14, 2018, it filed its annual report to security holders for the year ended December 31, 2017 (the “2017 Annual Report”) with the U.S. Securities and Exchange Commission. The 2017 Annual Report is available through the ‘Investors’ section of the Company’s website at https://investors.orbotech.com. In addition, Orbotech Ltd. shareholders may obtain a hard copy of the Company’s most recent annual report to security holders upon request, free of charge, by contacting Rami Rozen on telephone +972-8-9423582 or by e-mail at rami.rozen@orbotech.com. Orbotech is a global innovator and supplier of enabling solutions used to manufacture the world’s most sophisticated consumer and industrial electronic products and is part of a select group of companies whose technology is literally driving the future of electronics. The Company’s core business lies in enabling electronic device manufacturers to inspect, test and measure printed circuit boards (“PCB”s) and flat panel displays (“FPD”s) to verify their quality (‘reading’); pattern the desired electronic circuitry on the relevant substrate and perform three-dimensional shaping of metalized circuits on multiple surfaces (‘writing’); and utilize advanced vacuum deposition and etching processes in semiconductor device (“SD”) and semiconductor manufacturing and to perform laser drilling of electronic substrates (‘connecting’). Orbotech refers to this ‘reading’, ‘writing’ and ‘connecting’ as enabling the ‘Language of Electronics’. 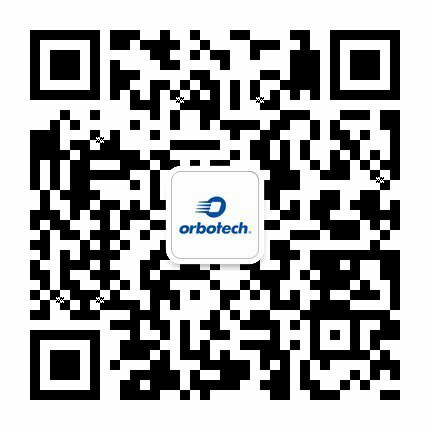 For more information visit orbotech.com. Except for historical information, the matters discussed in this press release are forward-looking statements within the meaning of the U.S. Private Securities Litigation Reform Act of 1995. These statements relate to, among other things, future prospects, developments and business strategies and involve certain risks and uncertainties. The words “anticipate,” “believe,” “could,” “will,” “plan,” “expect” and “would” and similar terms and phrases, including references to assumptions, have been used in this press release to identify forward-looking statements. These forward-looking statements are made based on management’s expectations and beliefs concerning future events affecting Orbotech and are subject to uncertainties and factors relating to Orbotech’s operations and business environment, the previously announced acquisition of Orbotech by KLA, the manner in which the parties plan to effect the transaction, including the share repurchase program, the ability to raise additional capital necessary to complete the repurchase program within the time frame expected, the expected benefits, synergies and costs of the transaction, management plans relating to the transaction, including with respect to the Company’s ownership interest in Frontline, the expected timing of the completion of the transaction, the parties’ ability to complete the transaction considering the various closing conditions, including conditions related to regulatory and Orbotech shareholder approvals, the plans, strategies and objectives of management for future operations, product development, product extensions, product integration, complementary product offerings and growth opportunities in certain business areas, the potential future financial impact of the transaction, and any assumptions underlying any of the foregoing. Actual results may differ materially from those referred to in the forward-looking statements due to a number of important factors, including but not limited to the possibility that expected benefits of the transaction may not materialize as expected, that the transaction may not be timely completed, if at all, that KLA-Tencor may not be able to successfully integrate the solutions and employees of the two companies or ensure the continued performance or growth of Orbotech’s products or solutions, the risk that the Company may not achieve its revenue expectations within and for 2018 (including, without limitation, due to shifting move-in dates); cyclicality in the industries in which the Company operates, the Company’s supply chain management and production capacity, order cancelation (often without penalty), timing and occurrence of product acceptance (the Company defines ‘bookings’ and ‘backlog’ as purchase arrangements with customers that are based on mutually agreed terms, which, in some cases for bookings and backlog, may still be subject to completion of written documentation and may be changed or cancelled by the customer, often without penalty), fluctuations in product mix within and among divisions, worldwide economic conditions generally, especially in the industries in which the Company operates, the timing and strength of product and service offerings by the Company and its competitors, changes in business or pricing strategies, changes in the prevailing political and regulatory framework in which the relevant parties operate, including as a result of the United Kingdom’s prospective withdrawal from the European Union (known as “Brexit”) and political uncertainty in the United States, or in economic or technological trends or conditions, including currency fluctuations, inflation and consumer confidence, on a global, regional or national basis, the level of consumer demand for sophisticated devices such as smart mobile devices, automotive electronics, flexible applications and devices, augmented reality/virtual reality and wearable devices, high-performance computing, liquid crystal display and organic light emitting diode screens and other sophisticated devices, the Company’s global operations and its ability to comply with varying legal, regulatory, exchange, tax and customs regimes, the timing and outcome of tax audits, including the best judgment tax assessment issued by the Israel Tax Authority with respect to the audit of tax years 2012-2014 in Israel and the related criminal investigation, the Company’s ability to achieve strategic initiatives, including related to its acquisition strategy, the Company’s debt and corporate financing activities; the timing, final outcome and impact of the criminal matter and ongoing investigation in Korea, including any impact on existing or future business opportunities in Korea and elsewhere, any civil actions related to the Korean matter brought by third parties, including the Company’s customers, which may result in monetary judgments or settlements, expenses associated with the Korean matter, and ongoing or increased hostilities in Israel and the surrounding areas.